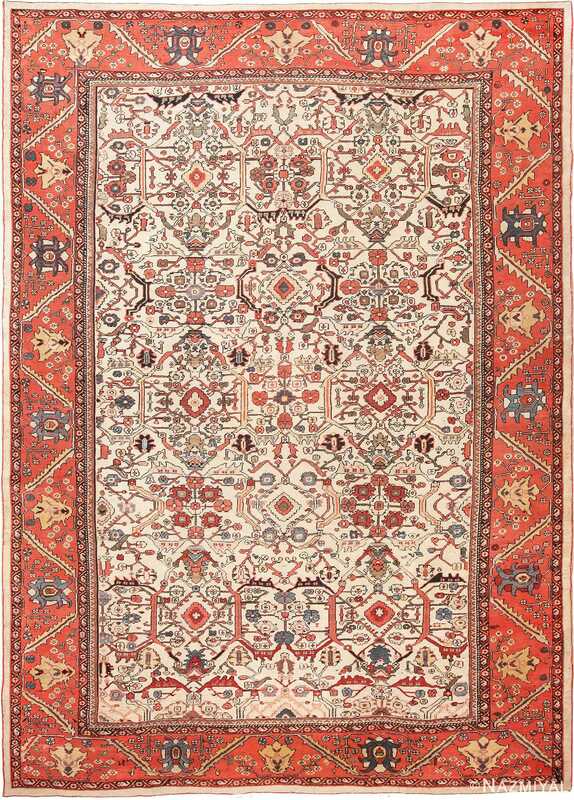 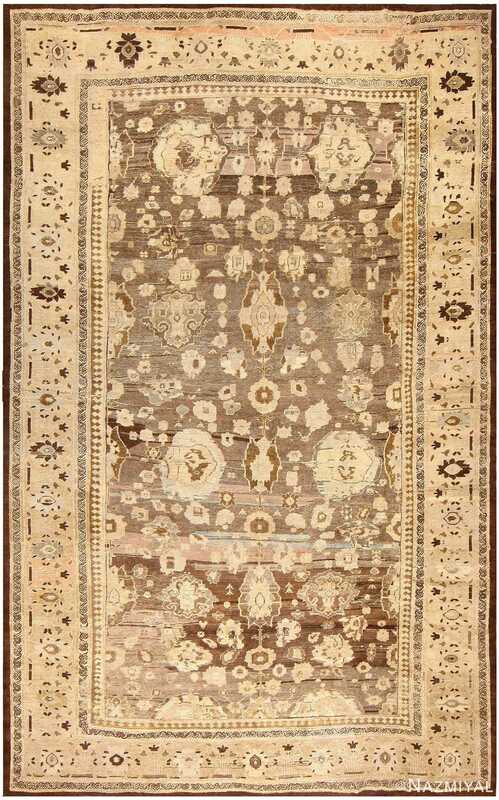 Large Size and Decorative Antique Persian Sultanabad Carpet, Country of Origin: Persia, Circa Date: First Quarter 2oth century – 1920’s — Delightfully subtle tones immediately spring to life in the viewer’s vision when gazing upon this antique rug, their forms and hues beckoning to be simultaneously taken in all at once and inspected carefully, each in turn. 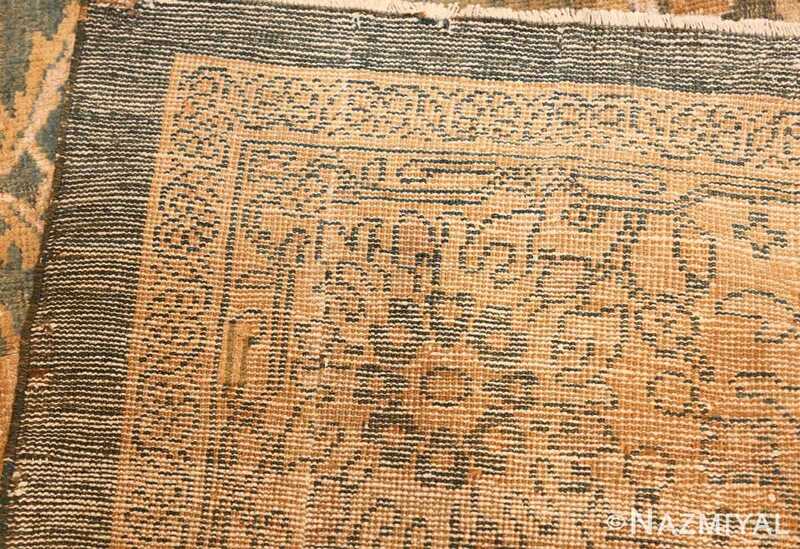 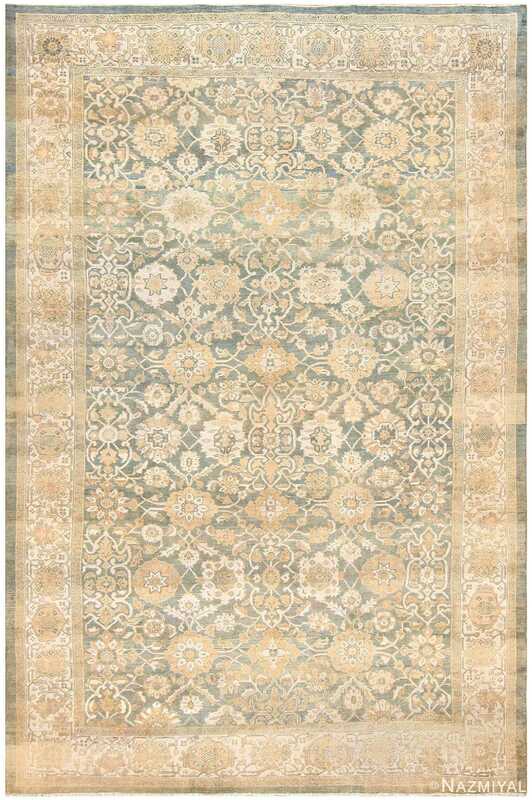 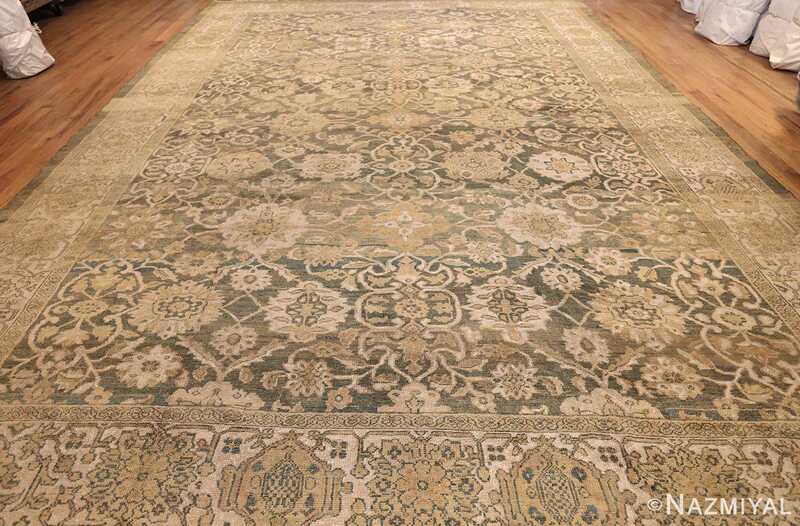 A lovely ivory border surrounds the middlemost section of the carpet, which is composed of light golds and beiges on a sky blue field. 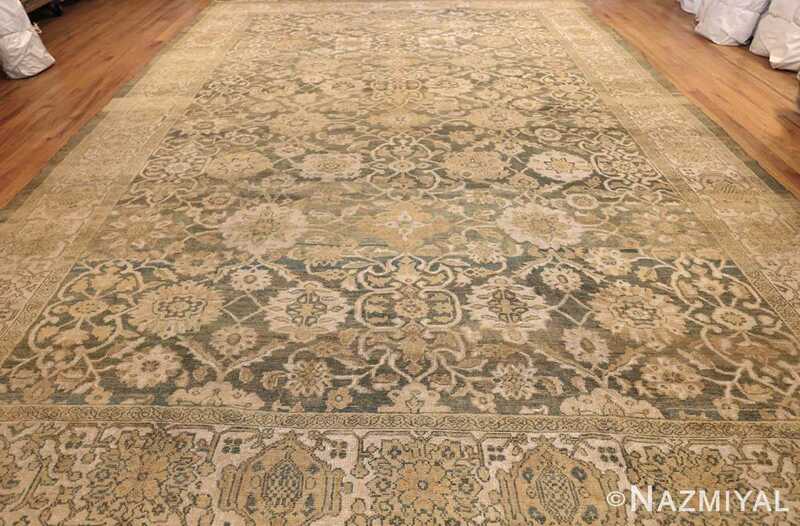 Gold elements that are represented in floral figures and arrangements unify the spaces between the border and the antique Persian Sultanabad rug’s center, all coming together in a single, extravagant way. 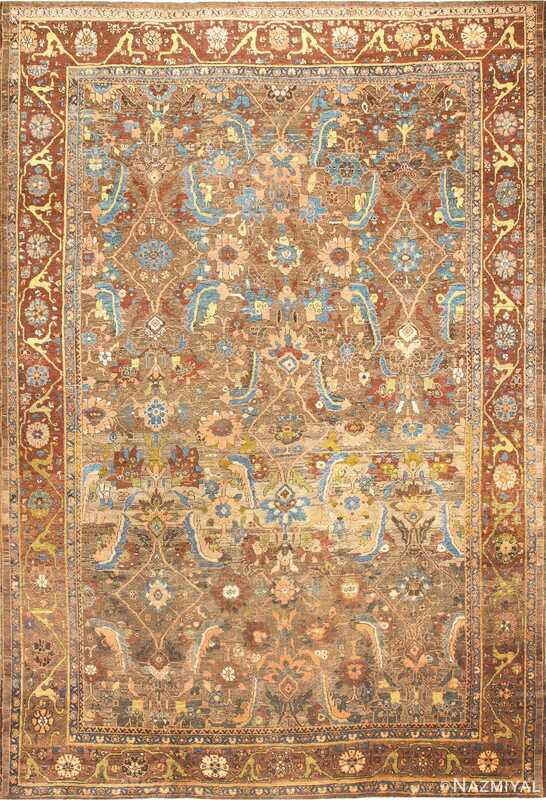 The curling stems and vines lead the viewer’s eye to vibrant blossoms, their shape almost glowing against the sea-foam green or light blue of the Sultanabad carpet‘s backdrop. 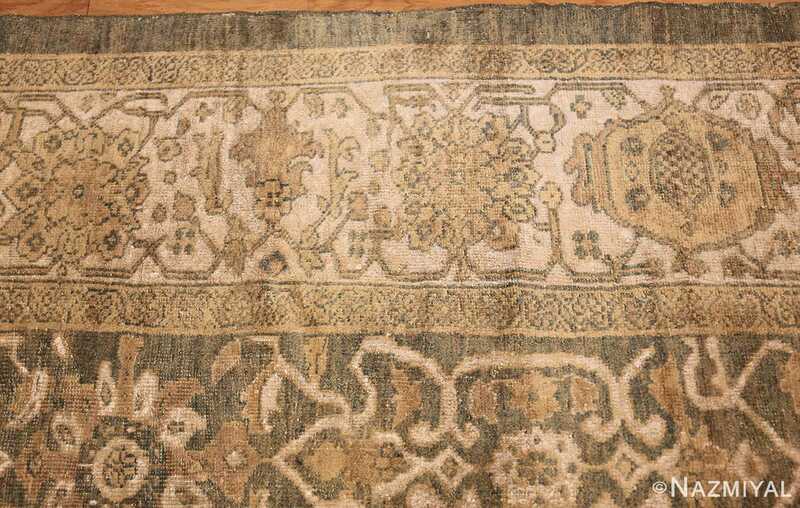 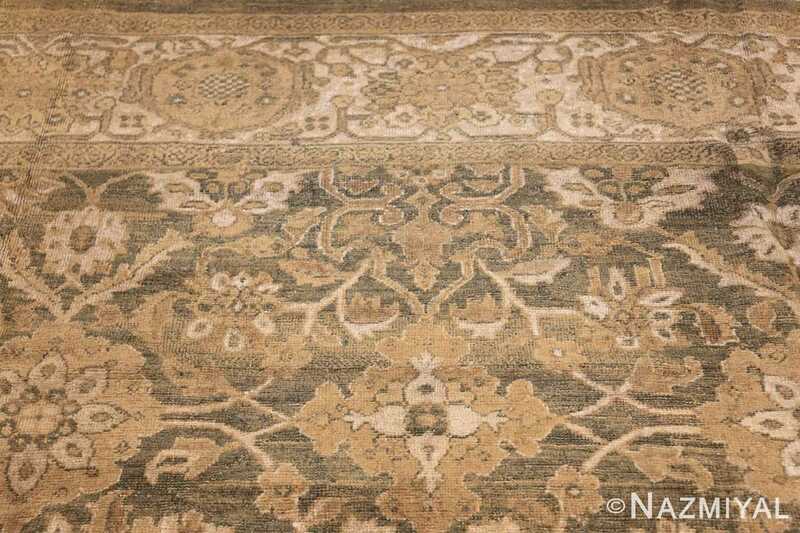 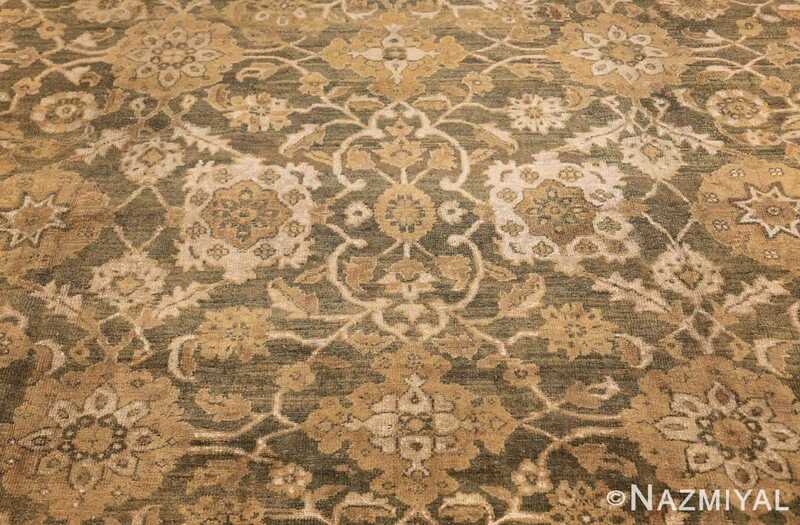 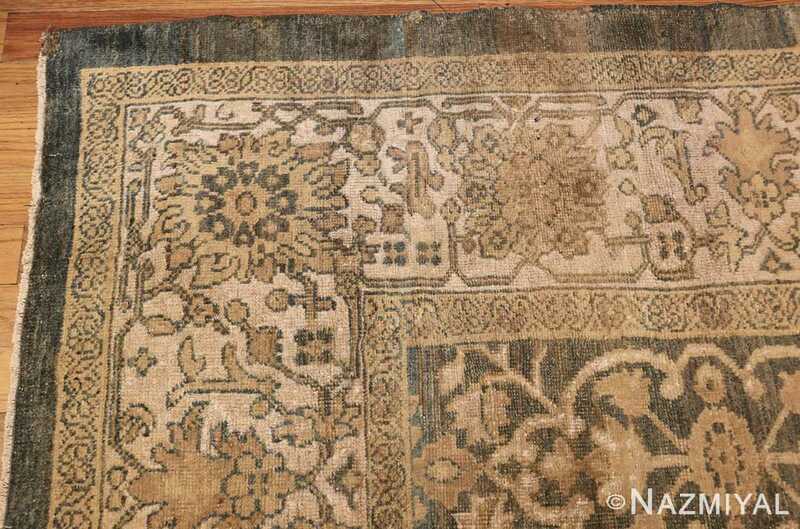 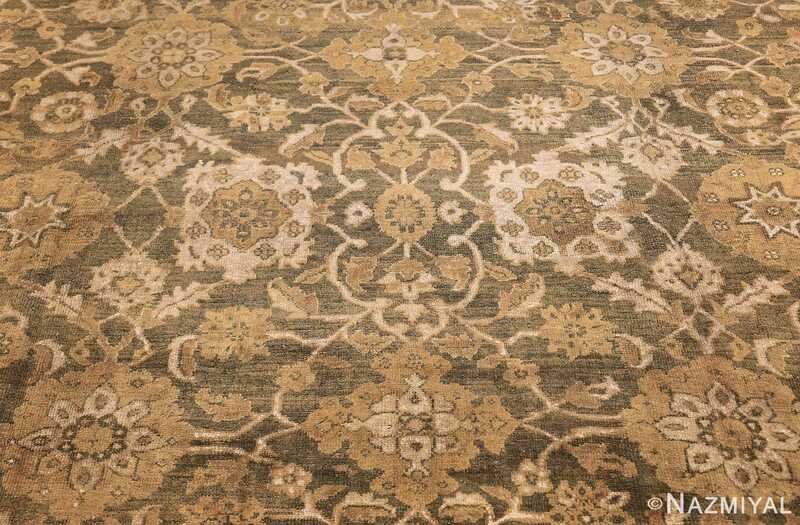 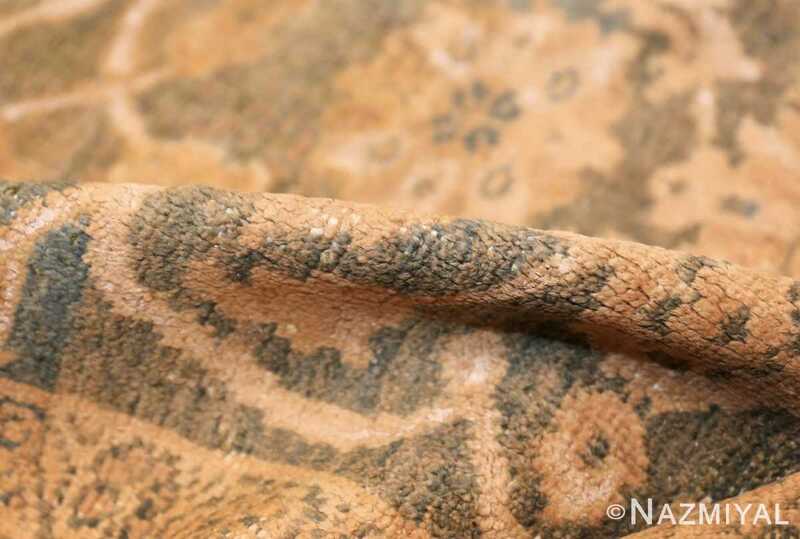 Outsized floral elements complement the patina of the carpet, which is an excellent and alluring example. Its age enhances its unique composition.